DAVID LE/Staff photo. 3/13/15. 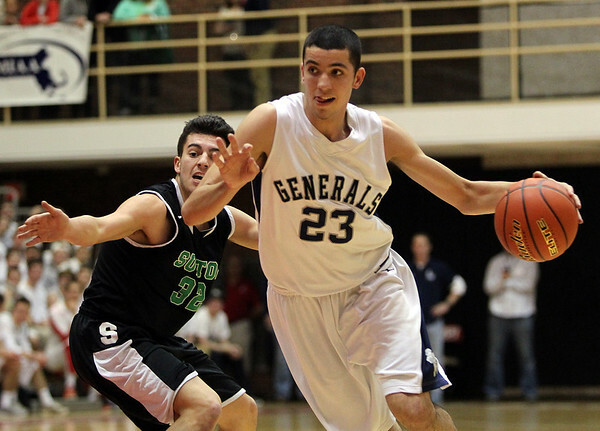 Hamilton-Wenham sophomore Max Zegarowski (23) drives to the hoop past Sutton junior Anthony Fraioli (32) in the D4 State Championship at WPI in Worcester on Friday evening.